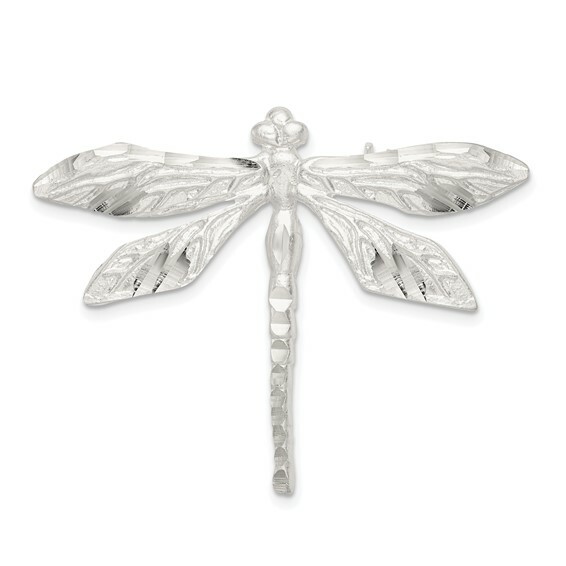 Satin finish diamond cut dragonfly pin is made of sterling silver. Weight: 4.9 grams. Measures 1 3/8 inches tall by 1 3/4 inches wide without bail. Pin was gorgeous even though clasp stinks. Customer Service was awesome. Would definately do business again.